The Thirteen Worst Graphs in the World | Watts Up With That? 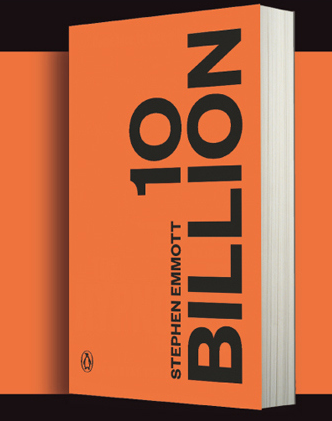 “Ten Billion” by Stephen Emmott – a 120-page paperback Ehrlich-style Doomfest – is due out in the next few days, published by Vintage in the USA and Penguin in the UK. German, Italian and Dutch translations are also due. Publication was brought forward hurriedly because of the appearance in Britain of a spoiler – “Population: Ten Billion” by Danny Dorling. Very briefly: Emmott argues that a combination of population growth, rising consumption, climate change, species loss and environmental depredation will lead us to catastrophe by the year 2100, and there’s nothing we can do about it. In his inimitable catch phrase: “We’re f*cked”. Dorling agrees with Emmott’s basic thesis but adds: “Yes we can”. Both agree that massive behaviour change on the part of the citizens of the rich West is a necessary condition for saving the planet , change which no democratically elected government could implement. You’re left to draw your own conclusions. The conclusion Emmott draws is contained in an anecdote which is mentioned in practically every discussion of the book. Confronted with the dire predictions emanating from the work done by Emmott and his team of forty scientists at the Microsoft Laboratory in Cambridge, England, the reaction of one of the team was that the only thing to do was “teach your child to use a gun”. The simultaneous publication of both books means that the conditions have been realised for a phony debate in Britain between “optimists” and “pessimists” over what to do, or whether anything can be done – a debate from which sceptics are excluded, since both sides implicitly accept the worst expert predictions found in official sources- a population of 10 billion and a 6°C rise in global temperature. Emmott’s book is based on a one-man-show performed by Emmott himself at the Royal Court theatre in London in July 2012 – a show which got rave reviews from the green-leaning British press. Emmott is no actor and a very poor public speaker, but his position as Professor of Computational Science at Microsoft’s Cambridge Lab, plus visiting professorships at Oxford and London Universities, lent authority to his views, which were swallowed unquestioningly by the British press. Interviews in the Observer and the Financial Times established Emmott as an expert to be reckoned with, and there was talk of a TV series or a TED talk. The final format chosen for getting his thesis out to a wider public was a popular paperback. Wherever we could check Emmott’s claims, they turned out to be false or exaggerated. His claim that a Google search uses as much electricity as boiling a kettle was the subject of a retraction at New Scientist, following a complaint from Google that the claim was out by a factor of a hundred. His claim in a talk that species lost is running at more than a thousand times the natural rate was based on a 20-year-old source which estimated loss at “a hundred to a thousand times the natural rate”. Emmott simply took the upper estimate and added “more than”. It’s true that there is an official UN estimate of a population of ten billion by the year 2100 (in a 2010 online update to the last official report in 2004) but Emmott fails to mention that the report has population flatlining by this time, and declining thereafter. They are, quite simply, terrible. They’d be a disgrace in an essay by a first year university student. In at least two cases, the timescale on the x axis changes half way along with no indication. They appear to have been drawn by hand by someone who can’t use a ruler. Decadal changes appear to happen roughly every 12-15 years. Scales are deliberately chosen to create hockeysticks. Future population growth is represented as a vertical line, instead of the S-shaped curve which every serious demographic study supports. Since first putting up these graphs, Buzzfeed have added footnotes giving sources. In every case the graphs are “adapted from..” or “compiled from…”. In other words, they are the responsibility of the author. “…all the graphs in his book, which you suspect he carries around in his head as well – graphs for world population, CO2 parts per million, global ocean heat content and loss of tropical rainforest and woodland, for instance – are lurching upward in ways they never have before. I invite WUWT readers to amuse themselves by going through the graphs with a ruler and a fine tooth comb. It may be nit-picking, but there are an awful lot of nits, and it’s best to comb them out now before they hatch and we’re all scratching ourselves to death. Oh great, Paul Erlich redux. In the liberal world, nothing succeeds like failure. Maybe he’s right … if the proposed “solutions” are implemented. Where is the graph showing the number of self proclaimed prophets/esperts who claim the end is near? There are folks who like nothing better than to tell you the 100 reasons why it can’t be done. If we listened to them, we’d still be using flint to start fires. He really needs to have some detailed explanation of the methodology that leads to that. He plots 50000BC and now on the same graph. Can it be the same methodology? And then he draws a vertical line at 2050. Yes, I’ve checked again. It is really there. Is this truly his work and not a libellous misattribution? The graph is artwork, not science. The book is clearly science fiction for that graph alone. Sceptics should promote this book left right and centre. That particular graph is so laughably flawed that it can only harm his stated cause. I see enough hockey sticks to supply a professional team. Latest figures say we will peak below 9 billion. Plenty of room, plenty of food (already, as we throw away 50% currently) and plenty of energy for the next 200 years. Distribution and fairness is what needs upping. If the green, terminally stupid advocates don’t get us first. 😎 The “Earth First” types want to see Man become extinct. It would be okay for humans to disappear. Source: Set Up and Sold Out, by Holly Swanson, 1995, page 171. Hardcopy: Copy of page 171 from Swanson’s book. Eradicate 98 percent of humankind. Where: During an interview with Jerry Mason. Phase out the human race. Source: Wild Earth magazine, Summer 1991, page 72. Also: “Match the Quotes!” Resource Roundup, June 2005, page 8. Hardcopy: Printout of 11-12-01 webpage with the quote. You’d think such “Environmentalist” would be in favor of CAGW so we’d “do ourselves in”. The concept of “mathematically and computationally first rate” scientists is not new at all. There are lots of them. The problem with many of them is that they have too little used and regard for experimental science. People who believe this drivel should have the courage of their convictions and just off themselves. We would all be better off. One could start with scientists who know how to graphically represent error bars. After that, one could improve on that by using scientists who give a source for the data. America had one major fire per decade before 1970? Oh scientists who give a legend would be great as well. The heat content of the oceans was -5E22 Joules before 1970? Sounds pretty cold. The scary part is that the story contents is becoming more and more a reality as time goes by. “Both agree that massive behaviour change on the part of the citizens of the rich West is a necessary condition for saving the planet , change which no democratically elected government could implement.” Is that statement or it’s equivalent actually in the book(s)? Elaborating on the “Very briefly” above. Still very simplified…. Either: 0) Do what we are doing now. Option 3 requires willingness to develop high per capita energy infrastructure, very doable and affordable, but politically difficult now. Some tech development needed. Even a broken clock is right twice a day. Here we go again! Yes, let’s cull 6.5 billion people because a moron has written a stupid book. “Both agree that massive behaviour change on the part of the citizens of the rich West is a necessary condition for saving the planet , change which no democratically elected government could implement”. Funnily enough, in these same rich countries population growth has stopped, state of environment is improving and countryside has been emptying with urbanization while food overproduction is sometimes a problem and farmers are paid not to produce food. Population grows in poor countries and will continue so until people reach a decent standard of living. @ sunsettommy: The Marching Morons – a deeply cynical SF short story written by C.M. Kornbluth in the 50’s. A con man from the 20th century helps the powers that be convince the citizens (morons) of a future time to move to Venus…… (which is not inhabitable). Well it’s govrnment scientist consensus, at least in Germany. At 1.3 billion people, China is currently the most populus country, but their government has been implementing a “one child per couple” policy for some time now. That implies the population will be reduced by 50% each generation. There are about 3 generations per century, so if this policy is coutinued until 2100, China’s population will then only be about 200 million, or 2% of the authors’ projected 10 billion for the world total. Do the authors include this projection for China’s population, or do they have inside information about when the “one child” policy will be discontinued? World population growth rate is 1.1%, half of what it was in 1960, and dropping fast. Median global female age has exceeded 30 for the first time, and rising fast. Total fertility rate is around 2.45, barely above replacement (which, globally, is around 2.2 rather than the commonly cited developed country 2.1 rate). When adjusted for skewed male/female birth numbers, adjusted TFR is closer to 2.3. In other words, we’ll be at replacement in a couple of years’ time. Whenever doom mongers make claims about the future, take a look at their track record. Almost every single doom ladened prediction has failed. Badly. ……..In 1885, the US Geological Survey announced that there was “little or no chance” of oil being discovered in California. Claim: “By the year 2000 the United Kingdom will be simply a small group of impoverished islands, inhabited by some 70 million hungry people … If I were a gambler, I would take even money that England will not exist in the year 2000.” Paul Ehrlich, Speech at British Institute For Biology, September 1971. Data: Yet in a only few years India was exporting food………..
Take a look at this shocking hockey still on world fertility rates. We are doomed. On the Species Extinction graph, he doesn’t explain what the “extinction rate” label on the y axis means. Whatever it is, (number of species going extinct per – ?) it suddenly spurts up an unknown number of units on an apparently logarithmic scale about 53,000BC. Then there’s a break in the x axis around 48,000BC, and we start again on a much enlarged timescale around 1850 AD. In his talk to the government sponsored thinktank NESTA Emmott says the sixth great extinction has already begun. On his graph it’s due in 2050. I’m not sure that the graphs are “so laughably flawed that it can only harm his stated cause”. He’s got all the major British media on his side, and, as he says in the Times interview, only a few climate deniers with no science qualifications, like Alex and me, opposing him. Some of the graphs are bad, others not so bad. The conclusions in the book are wrong for the time frame, and wrong with respect to key underlying drivers. But some of the comments on them above reflect nearly as little understanding of the factual situation in general as this successor to Ehrlich’s wrong prophesy, The Population Bomb. A detailed factual review of the underlying forces at work, amply referenced for sceptics to fact check themselves, is contained in the recent ebook Gaia’s Limits. It speaks for itself. Essentially the book is being published both places by Pearson which works hand in hand with MS globally pushing those very ed practices designed to get radical behavioral changes. What Paul Ehrlich called Newmindedness and I shorthand as eliminating the Axemaker Mind playing off James Burke’s statement of a similar intention. http://www.telegraph.co.uk/finance/newsbysector/mediatechnologyandtelecoms/media/10152247/Penguin-and-Random-House-complete-merger.html shows the publishing link. This is all consistent with what the UN’s Education for Sustainability seeks to do. Which is about far more than education. As I have mentioned consistently, the docs from the 80s and 90s say that AGW is just a theory designed to get the desired social, economic, and political changes and individual behavioral changes that people would refuse to go along with absent a crisis. ATC21S–the global 21st Century skills movement using technology and no transmission of knowledge is just one example of the MS/Pearson global collaboration. All the basic concepts from the 90s are getting spun back out under new authors with editors pretending these are new ideas. Rebecca Costa’s The Watchman’s Rattle: Thinking Our Way Out of Extinction is yet another redo of these basic themes of eliminating the rational mind as the appropriate means of preventing unauthorized technological advances in the future. No one left capable of disputing the official models is another way of seeing it. World population growth rate is 1.1%, half of what it was in 1960, and dropping fast….. Thanks adam. What these doomsters like to ignore is that fertility rates are tumbling around the world. 1960s doomers would not believe what is happening today. By the way we are not f**ked. Rud Istvan : your comment is replete with lofty arrogance and devoid of actual content. My gut feeling upon seeing the wild fire graph was that it was bunk, and a cursory look at the wikipedia(of all places) wildfire page seems to confirm that. Not only are there many wildfires in the 50’s (none in the 60’s though, hmmm), but the count in recent decades is inflated by the inclusion of much smaller fires, some only a couple square miles. Don’t be so downhearted. If “all the major British media on his side” want to pin themselves to supporting that graph then let them. The vertical line in just-a-little-after-tomorrow is so ludicrous that the defence would take up more column inches than any editor could provide. It is only a blogosphere trap that will attract alarmists like wasps to a rubbish bin. Let them hover there; they won’t cause any trouble with each other. The main political debate cannot stand behind such folly. It hasn’t got time to explain it to those who are merely mildly interested. You seem concerned that appeals to authority will be the ‘get out of jail free’ card for defenders of this fear-mongering. But this graph is not the political equivalent of Mann’s Hockey-stick. The uptick is not an observation (real or otherwise). It is not in the past. The uptick is a guess about the future. Let’s hear them try and explain that faith. I say again, this is battle we sceptics should welcome. Let us fight on ground of our choosing. Choose this battle. And let us hope that they do expose the weapon of “authority from scientific job titles” in this battle. The phaseout should start with Holly. As predominantly females are aborted it would happen faster. On the other hand, there are millions of illegal children. When a mother refuses to have her child murdered and the local Chicoms lack the brutality to enforce it there’s an illegal birth. No papers are issued. The child becomes an illegal citizen with no rights and no legal existence. A new slave / underworld class. The best plan is to do nothing. If overpopulation becomes a problem, nature will make an adjustment as it always has. The Agenda 21ers however, have there own plan. Rud Istvan is promoting his own book here. Yes, self-praise speaks for itself! We’re fracked? Fracking’s a good thing, and I’ve always been in favor of teaching gun safety. I wonder if this guy is a betting man… I seem to recall a wager on similar predictions of doom 40 years ago. Here is the equation they use: sustainability (which requires eugenics), then bullying threats, with scare tactics if you don’t do it. This is the general thread of these people’s ‘philosophy.’ Based on no facts! Of for that matter, common sense. It is somewhat a no brainer of a person who predicts without knowledge. “Kill yourself to save the planet”. So far no takers, but I keep hoping. If Rossi’s partner puts his E Cat gadget on sale in a year, all this alarmism will be moot. The decline in tropical forests is due to the growth of palm oil plantations, which is due to the greenie push for biofuels. I asked a new Microsoft employee with a new Ph.D. if he had run into Emmott, but all I got was crickets. That graph alone deserves a chapter in a book on “What’s Wrong With Climate Alarmism”. It is not just wrong, it is ludicrously wrong, stunningly wrong. I know. It was so bad that my concern was that it was a fraud. How can anyone be so incompetent? It may still be a false-flag operation. And you are right that the Species Extinction graph is already proven to be incredible. But that is why we should publicise this poop. This is something I want to see the ‘Environmental Correspondents’ pin their reputations on. Then, maybe, we could have more airtime for ‘Science Correspondents’. What’s the betting that they spend their profits from these lucrative books on expensive restaurants, holidays in Tuscany, and the good things of life. With Climate Change falling apart because of lack of warming the green movement dusts off its population bomb distraction.. If this guy wants to be taken seriously, he should at least distinguish real data from predictions in his “graphs”. The environmental record of authoritarian states is not exactly great. Strengthening democracy is more likely to help solve the problems. All this anti-humanity Malthusian fallacy is the thesis of (Da Vinci Code) Dan Brown’s latest, Inferno, including the chartjunk based lectures. Imagine, a novel instructing, it beggars credulity. Save your three hours reading time for something with some meaty truth – and a glass of good wine. So another tome on how mankind is going to destroy the planet. In fact we aren’t going to destroy the planet, we may make it uninhabitable for mankind but we aren’t about to turn it into a used BBQ briquette. Western governments are over extended because of mismanagement.. This mismanagement will have severe consequences on our standard of living.. Our ruling class, the people in charge would like to remain in charge.. So they encourage / commission studies to explain away the consequences of their greed and mismanagement.. The only thing that cant grow is there leadership.. The necessities of life delivered at a union scale has them broke as a church mouse.. Their model is broken, it can not expand, never mind meet existing demand.. So they look to the future while thinking of them selves. Which in itself is the prime example of why they never ever see it coming.. So relax.. Our children may be firing guns.. War is natures solution to political dead wood.. The ultimate reset button.. The only down side is the modern age means we have to listen to them on the way out.. Such is progress I guess..
“Both agree that massive behaviour change on the part of the citizens of the rich West is a necessary condition for saving the planet, change which no democratically elected government could implement.” Is that statement or its equivalent actually in the book(s)? It’s implied by both authors. I haven’t read either book, so I can’t give you an exact quote, but Emmott has repeated numerous times that the changes in behaviour which he considers necessary to “save” the planet could never be effected by a democratic government. In his comments about the reaction to the Royal Court theatre performance which was the source for his book, he frequently mentions (with a certain pride) the presence of senior military personnel at the show. I can only imagine the reaction of a US citizen to such a statement. Unfortunately, in the UK his boasting about the interest aroused among the military in his apocalyptic visions produced absolutely no negative reaction fromthe left-wing media who are normally so critical of military intervention in politics. His thinking is also accepted by the UK government, which is financing a number of projects – e.g. COIN (Climate and Outreach Information Network) which aims to influence public opinion on climate change. Stephen Emmott and Danny Dorling are British citizens who certainly place themselves “on the left”. So am I, though I certainly have more in common with most American (Republican?) commenters here who find the idea of “nudging” voters towards more “planet-friendly” policies utterly repellent. Consensus is the failure of leadership. by the year 2100, which means he will be long dead and therefore not around to be pulled up for his BS. The alarmists , in many ways ,have thankfully show little ability to learn from there mistakes , but one thing that has changed is they have learned to make their ‘doom’ forecasts for periods so far ahead they have little chance of being reminded of their BS claims. From the religious apocalyptic writings of the past (and present) to Malthus to Ehrlich, Schmidt and Hansen, this guy now joins in on the hunt for moneyand fame in selling doom. This sort of derivative fear mongering is something that PT Barnum would have understood well. As someone who grew up being told how Ehrlich’s bs was giong to happen *now*, I find myself with less and less tolerance for the self-declared profits of doom as the years go by. It is apparently a weakness of the human condition to cnofuse scary fibs with true stories. Ten Billion is just another example of this weakness and those who would profit off of it. “This is something I want to see the ‘Environmental Correspondents’ pin their reputations on. Still believing NYT, Guardian and spiegel are not 100% controlled propaganda operations there are you right? I still remember to this day (in fact the exact spot) where I was, when at ~7 years old, I realized I was f*ucked. Yet, never did it occur to me that a 90% reduction of the human population was some kind of an answer. It still hasn’t, thank goodness. When confronted with people expressing these sorts of doomster opinions, I often quote this fact…I just love that struggling, angry look they get in their eyes. “Don’t be so downhearted. If ‘all the major British media on his side’ want to pin themselves to supporting that graph then let them…I say again, this is battle we sceptics should welcome. Let us fight on ground of our choosing. Choose this battle”. McIntyre and Montford exposed the hockeystick with a thousand times more scientific authority than Alex and I can muster – and to what effect? I’m immensely pleased by the idea that some nameless Penguin/ Pearson/Vintage editor is obliged to monitor blogs like this to counter criticisms of their publicity hype for Emmott’s book. Each graph needs taking apart data point by data point. Authors of peer reviewed papers who are cited as authorities must be challenged about the interpretations place on their papers. Supporters of Emmott in the media must be challenged point by point on each false assertion which they make. the support of Anthony, Joanna and Donna means that the audience for our message has been multiplied a hundredfold in a few hours. Mann, Steig, Briffa and others could hide behind their peer reviewed privilege. Emmott can’t do that, since his work is a pop-science paperback. If enough or the readers of WUWT, nofrakkingconsensus.blogspot.com/ and joannenova.com.au/ make their opinions known in enough places, Emmott’s intention to influence the course of history will be blocked, and Global Worrying will suffer a significant setback. I’m looking at the number of hits on my blog thanks to the support of Anthony and Joanna and Donna, and I’m truly grateful. But if that isn’t translated into an active effort to counter Emmott’s message in the places that matter, I’ll count my effort a failure. I’ll leave the usual anti-humanist Ehrlichian population control propaganda for others to deal with but I would love to hear more about Microsoft’s involvement in this. Judging by their destruction of Windows and every other x86 product they pioneered for over three decades, the company employees clearly are focusing on something else. The last thing we want is for Microsoft involved in issues of life and death. Microsoft plasters tech sites with sweet tasting stories about Microsoft Research exploring the frontiers of software and hardware showing space-age prototypes of display tech, smart surfaces, artificial intelligence and the like. For some strange reason any research into less esoteric and more suspicious fields remain on the down-low. @Geoff Chambers, any links to further information about the MicroClowns you may have dug up would be appreciated. That’s where we are now……nothing is wrong and people are never wrong in their thinking. I think, population growth is currently underestimated. Reproduction has slowed down massively in many parts of the world (particularly the developped world) world with increase in wealth and education, as well as in China due to the 1 child policy and very hard working females. But it did not slow down in the Muslim world, just the opposite, the richest Muslim countries are among those with the highest reproduction rates. So, the slowdown was correlated only partly with wealth and education and as a rapidly increasing part of the world’s population does not correlate well with these parameters, population growth will pick up again. Those countries which industrialized first & attained public health such that it was no longer needed to have ten babies for two to survive showed this tendency in the 19th century. Later industrializing & public healthizing countries experienced this salubrious phenomenon in the last century. It appears that the Muslim world may now be undergoing it. The trend is a good thing until carried too far, as in some of today’s most advanced regions, such as Old Europe & Japan. Dan Brown, author of “The Da Vinci Code” very recently published a novel, “Inferno”, suffused with all this Malthus/Erlcih crap. He dresses it up with irrelevant historical factoids to show he’s smarter than everyone else, plus some SCIFI biotech BS, and tries to dissuade us all from “denialism”. Minimal references to climate change. He’s the cutting edge of Agenda 21, now that climate change is on the ropes. NYT’s review of books thinks he’s just brilliant. I really do despair when people who don’t understand the scientific method, propose a new kind of science, and they get hailed as geniuses. I would not go with that study but look at more details. Countries like Iran, Turkey or Algeria, have a long traditions of significant parts of the populations not conforming with condervative Islamic views. They do react to wealth and education as the rest of the world and that leads to a substantial slowdown in those countries – until they are outnumbered. correlates very well with results from the Pew Forum about Muslim world beliefs (just look at extremely conservative believes in populous Pakistan, for example). From Libya to Bangladesh conservative, salafist Islam is winning or on the rise and I therefore see slowdowns only local and temporary. Most of these graphs appear to be based on faulty data and in some cases with data that is completely wrong. For example, I made a brief attempt to locate reliable data on world water consumption and couldn’t come close to the numbers cited in the example graph. Request to a reader/contributor with a little more time: It might be useful to crowdsource a critique of the actual numbers represented by the various graphs in an attempt to trace their source. Regulars to WUWT will recognize the hockey stick, of course, but the others appear to be based on just as faulty sources–who knows, you too might discover another Yamal miracle tree. How about this: Maybe it will take 10 Billion to get 100 on the moon. It always irks me when someone complains there are too many people on this planet, yet somehow it’s me that should leave, not them. No thanks. I’m not leaving until my allotted time is up. I’m paying my way by one of the time-honored means of creating value while here on earth, manufacturing, out of the big 3 of mining, manufacturing, and agriculture (the 4th – distribution – is arguable). I do resent it when someone living scott-free off the excess produced by wealth-creating individuals has the gall to tell me I’m the one who is dead weight and needs to leave. If I didn’t suspect that we’re all too busy minding our own affairs to get together on a little protest, I’d suggest everyone in mining, manufacturing, or agriculture take a 6-month vacation all at the same time as a small demonstration of who actually provides the payroll for this party that we call civilized society. But hey! That’s just me when I’m irked. YMMV. I suspect that the Emmott Penguin is close to extinction. I like the graphs. Most of them chart success. Any species that isn’t successful is in danger of extinction. The charts however, reek of chartmanship. Plotting as few as 2 data points and extrapolating isn’t science. How can we exorcise the ghost of Thomas Malthus. He seems more persistent than Sauron, the various dark lords of Shanara, or a bad case of athletes’ foot. And this is why we need to get off this planet ASAP. Not because there’s going to be some horrible overpopulation disaster, but because the anti-human nutters are going to do their best to kill us of first. The Earth is fine. Mama Nature likes us or she wouldn’t have put us so much in charge. The environment in developed North America and Europe seems to be perfectly fine and it is, in fact, becoming a species haven. But then, fake graphs seem to work with 40% of our species. We can’t win with logic and real graphs with them. We need to move to the emotional level where they live. Why please would you not go with that study? What do you find wrong with it? That some Muslim countries are not yet undergoing demographic transition is no reason to assume that they won’t soon follow others since the Industrial Revolution began. It’s not because the people don’t want to have fewer kids, but because they don’t know how to limit the size of their families, because they haven’t been shown how to, or their regimes don’t want them to do so. The future is bright. The last enclaves of pre-Industrial reproductive patterns are converting. MS or its affiliated Gates Foundation are financing much of the curriculum coming to a classroom near you anywhere on the globe. No thinking mind left with what is being pushed. No need to worry about a garage competitor with that ed vision. http://atc21s.org/index.php/about/team/ is the ed vision. Talk about toxic to the mind. Plus the gaming emphasis coming to education so students are “engaged” is apparently an xbox boondoggle. Lose. Lose. Win if politically connected. Because, as I said, it reflects behaviour of parts of the population and is temporal. Take Pakistan again, for example. Only 27% of the population believes family planning is moral, but 84% favour making Sharia the law of the country and 76% of those favour death penalty for leaving Islam. So, the 27%, who may be responsive to family planning may try (if the majority allows), but this will just make them an ever smaller minority in the future. Such belief systems may change over decades, but I do not see this happening anymore, with Saudi/Qatar oil money vigorously spreading the most conservative form of Islam around the world and the Western world strangely supporting them. Isn’t this the vision that was embodied in the Second Amendment to the US Constitution back in 1789? Didn’t the Supreme Court reaffirm it a couple of years ago? Now Emmot is suggesting that for Europe it will become a popular but desperate measure taken in response to an unprecedented crisis? The measure did not seem desperate 225 years ago when the US adopted it as a fundamental right. It did not seem desperate when Chief Justice Roberts reaffirmed it a couple of years ago. The vast majority of Americans might wonder why England and similar countries did not adopt the measure long ago. Let’s hope that the Second Amendment is adopted as a fundamental right by every country in the world. The 7th graph labeled “Global Temperature Increase” shows a 1.2 C increase in temperature since about 1913. 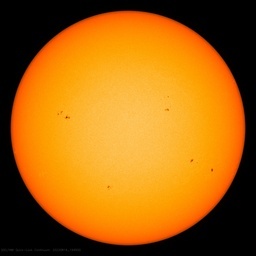 NOAA says that temperatures have risen 0.74 C over the past century. So how does Emmott justify a graph that shows a 1.2 C rise over the past 100 years? I think its a fine idea to teach your children how to handle a gun, for a variety of reasons, including basic firearms safety, personal defense and what may end up being necessary survival skills when the current bubble finally, really, bursts. Malthus and all Malthusians treat humans as unevolved chimpanzees that are incapable of creating wealth. Malthusianism surely ranks as a hate crime on Ivy League campuses. 10 billion ain’t enough, we’ve got a whole universe to populate! PS: Convienient he’ll be long dead before 2100 and prediction fail. The bogusness of expected population growth is very similar to the bogusness of expected global warming. For example, population models (with all those assumptions that may or may not be valid) predict a population peak of 9-10 billion However, when past empirical data is used as the basis, the data suggests a peak of 8.5 billion. I’m afraid we have 10 more years of scaremongering regarding over-population before people realize the peak will be in 2050 or thereabouts. Also, about the point of rising consumer demand for the population as a whole, the counterpoint to that argument is that most of the 8.5 billion are old people, and old people don’t buy stuff. The people who buy stuff are growing families, and they will be in short supply post 2030. Wouldn’t it be nice if they were all to the same scale and ended at the same time. Perhaps some sort of labelling to suggest the point of departure from fact to fiction (projection) would also be nice. Selective ending of some graphs before the current time whilst others are projected into the future sometimes with counterintuitive step ups (e.g. coal consumption) when the slope at the current time is decreasing. Well at least we know the reality of this nonsense before people get all hyped up about it. ATC21S aims to offer 21st-century curricula recommendations for education systems to support an improved workforce. This has always been a pet peeve of mine ever since Apple and Microsoft started infiltrating K-12 by become fashionable budget items in school budgets, the so-called “education market”, as if it is a market at all ( it is a captive market where school districts spend fleeced taxpayer dollars at will and repeatedly return to the taxpayer well for increases annually ). When computers first appeared in schools ( not for administration but in classrooms ) in the mid-1980’s I was a lonely voice saying the same thing as now, exactly what is being removed so that kids have this time to even use a computer? ~Crickets~ Gates, Jobs, Allen and Wozniak never even saw a computer in K-12, exactly what are kids supposed to learn on a computer. K-12 is NOT vocational. Here’s the truth, invading the classroom ( and our kids minds ) is all about one thing – turning them into good little consumers of Windows, Macs, Office and now Internet and Social sites. At least that was the purpose at first. Now it would appear that in typical camel nose under the tent fashion, they are progressing further to blatant indoctrination. And why not? Schools are the babysitter taking the kids off the parents’ hands for a sizable chunk of the day. This is what happens when there is no pushback in the beginning. Suddenly one day you wake up 30 years later asking how the hell we got to this place. As noted in Overpopulationisamyth.com , there are 3 UN population survey spreadsheets published together. The only one that has ever been accurate, or close to it, is the Low Band one. It currently projects a peak under 8 billion around 2045, declining thereafter. Depopulation will be the crisis then, I presume! Personal service robots may have to take up the slack. “Q: What are the founder countries, and why were these countries selected? Finland, Singapore and Australia are high performers in PISA and are heavily engaged with the use of ICT in education. Before 2009, Singapore had not participated in PISA; however, the 2009 PISA study showed that Singapore tests above average and is one of the highest-performing countries in international studies, such as the TIMSS. It is also a substantial user of ICT in education. The U.S. is a major international player in advancing the use of ICT in education. So, the “founder countries” have been “chosen”? What definition of “founder” is THAT? Second – Finland and Singapore are ABOVE the PISA average – so the goal can obviously not be to improve – because then you would start with something to improve. The goal must be to wreck. so given it is the former it is this keeping a file for life on every kid and control and change its behaviour until it accomodates to the globalist multicultural vision of the communitarians / monopoly capitalists. Microsoft currently looks viler by the minute. Yes, there’s a lot to be done. The sooner we start, the sooner it’ll be done. And while I agree that none of our present “democratically elected” governments will voluntarily give up their corruptly gotten gains, that doesn’t make the job any less necessary – rather the opposite. So, let’s get started! You bet. I downloaded a 100 MB application for connecting my phone via USB. Hello? Ok, ok I’m a thief so I’m not allowed to access my phone like a disk drive and must be controlled by a supposedly helpful guard. But on installing I was told there must be access to the internet to download some more. Hello? Fortunately, my admin account has no internet access. You should read the license indoctrination, too. They allow themselves to do everything inside your computer, otherwise you are not allowed to use the software. Well, agreed, I will not. Aha…. back in the 1960s it was going to be catastrophe by the year 2000. That gave them 40 years of doom-saying. I see that they have now learnt, and have allowed themselves 100 years. Manfred, I think you are a little off base. The patriarchal nature of Islamic culture may well enhance the birth rate. But that comes more from pressures from parents and not from religious beliefs about family planning (i.e. contraceptives). The wife (or wives) can easily make their own decisions as the society becomes more wealthy with more leisure or employment opportunities. OTOH, that economic advancement may be retarded to the extent that Islam may permit more autocracy. But that is also improving, not monotonically, but slowly improving with the overall advance of mankind from hunter-gatherer with 20 children (mostly dead before reproducing) to urban technocrat with no need or desire for children. Oh you mean these people? Both agree that massive behaviour change on the part of the citizens of the rich West..
“The rich West”? Wake up you moron – there has not been a “rich West” for half a century. And it makes such a GREAT excuse as to why we all have to be herded into Transit Villages while the transnational ag corporations continue to jack food prices through the roof. We already have the technology to feed the world if the Regulating Class would just get the heck out of the way. Note the words ‘Sustainable Future’ and ” Israel’s water monitoring and allocation system is phenomenal – every drop of water, from freshwater resources to desalinated water, is accounted for, priced accordingly, and delivered to the end-user….For we Californians, it was surprising and inspiring to hear about the innovative strategies….” in this National Geo article on Israel’s desalinization. GAG, even the World Nuclear Association is spouting the same Politically Correct garbage. It is estimated that one fifth of the world’s population does not have access to safe drinking water, and that this proportion will increase due to population growth relative to water resources…. Fresh water is a major priority in sustainable development. Where it cannot be obtained from streams and aquifers, desalination of seawater or mineralised groundwater is required. An IAEA study in 2006 showed that 2.3 billion people live in water-stressed areas, 1.7 billion of them having access to less than 1000 m3 of potable water per year. With population growth, these figures will increase substantially. <Further demand in the longer term will come from the need to make hydrogen from water. At the April 2010 Global Water Summit in Paris, the prospect of desalination plants being co-located with nuclear power plants was supported by leading international water experts. When I was young we were presented with a similar book of doom: “Report of the Club of Rome, Limits to Growth”. No, it was not the Roman Catholic Church that produced it but a self-appointed club of “expert” doomsayers. We were not to make it to 2000 unless we repented. I had sleepless nights about it until I recognised it for what it was: glorified astrology. I’ve been a sceptic ever since. @Mike Ozanne: Ridicule is indeed a most effective method of getting perspective. More is needed. Indignation and logic and reason only go so far and fail to reach many minds. Ridicule on the other hand seems to speak to all. Sorry Geoff just entertaining our troops.Question anybody else think hes pissed off Zara Philips and Mike Tyndal are having another Royal Baby. Gore Vidal wrote Kalki in 1978 to highlight just how far this kind of thinking can go . . It always boils down to “kill the others, but not me” it’s for their own good. Kalki was a very scary book. Especially scary because, as Vidal pointed out, there are organisms that kill as he described. …..Take a look at this shocking hockey still on world fertility rates. We are doomed. No politician in the EU or the USA will mention this is the real reason for loose immigration standards. Nor mention the rotten schooling in the USA. By adding back the sequestered CO2 we are ‘Greening” the planet and saving trees and other C3 plants that would otherwise become extinct during the next glaciation or two. If there is a ‘Mass Extinction’ some time soon it would be from glaciation and the wild climate swings accompanying a descent into glaciation as the climate switches from one mode to the other. The climate seems to be Bi-stable, so it is the time near transition that gives wild climate. Recent scientific evidence shows that major and widespread climate changes have occurred with startling speed. For example, roughly half the north Atlantic warming since the last ice age was achieved in only a decade, and it was accompanied by significant climatic changes across most of the globe. Similar events, including local warmings as large as 16°C, occurred repeatedly during the slide into and climb out of the last ice age…. It is certainly stated point blank in the book co-authored by Obama’s Science Czar Holdern and the Ehrlichs. ….I hate to break the news to you, but it is no hoax, no exaggeration. John Holdren really did say those things, and this report contains the proof. Below you will find photographs, scans, and transcriptions of pages in the book Ecoscience, co-authored in 1977 by John Holdren and his close colleagues Paul Ehrlich and Anne Ehrlich. The scans and photos are provided to supply conclusive evidence that the words attributed to Holdren are unaltered and accurately transcribed…..
…Indeed, it has been concluded that compulsory population-control laws, even including laws requiring compulsory abortion, could be sustained under the existing Constitution if the population crisis became sufficiently severe to endanger the society…. …One way to carry out this disapproval might be to insist that all illegitimate babies be put up for adoption—especially those born to minors, who generally are not capable of caring properly for a child alone. If a single mother really wished to keep her baby, she might be obliged to go through adoption proceedings and demonstrate her ability to support and care for it. Adoption proceedings probably should remain more difficult for single people than for married couples, in recognition of the relative difficulty of raising children alone. It would even be possible to require pregnant single women to marry or have abortions, perhaps as an alternative to placement for adoption, depending on the society…. The Planetary Regime might be given responsibility for determining the optimum population for the world and for each region and for arbitrating various countries’ shares within their regional limits. Control of population size might remain the responsibility of each government, but the Regime would have some power to enforce the agreed limits…. Sure sounds like an earlier version of Agenda 21 and that scares the … out of me. Remember Maurice Strong was chair of the First Earth Summit in 1972, was on the UN Commission on Global Governance, and thanks to Bush was chair at Kyoto. …Though Mr. Bush refused to sign the Bio-diversity Convention at the Rio Earth Summit — chaired, remember, by GOP contributor Strong — that only delayed things. The Clinton Administration signed shortly after its inauguration. Since the treaty obliges signatories to protect plant and animal species through habitat preservation, its implementation could make the World Heritage Committee’s activities on U.S. land use seem penny-ante by comparison. MEANWHILE, how much further down the path sketched out by the CGG will the UN reforms developed by Maurice Strong and announced by Kofi Annan last week take us? And that thread leads to From Carroll Quigley to the UN Millennium Summit which gives a nice concise outline of the different pieces of the plan to be implemented. Then we need to get those governments working together to exert democratic control over the banks and corporations and force them to act responsibly – both in paying their taxes and in cleaning up the vast acreages of emvironmental damage and countries full of social damage they have already caused. Then they’ll have to rip out the current superstructure of self-styled “global governance” demons and start working out an international structure which is likewise answerable to the people of the world. They already tried that routine. It was called the USSR. It didn’t work. BTW the worlers’ paradise had a worse environmental record than any “rich” western country. We all know what kind of environment the people’s rebublic/i> has. Will 10B ever be reached? It is a serious question. Fecundity is dropping like a rock, world wide. We have never seen anything like this in recorded history, the closest thing was the Plague. But that was not really world wide. We may be steeply negative earlier than anyone could ever imagine. RE: But it did not slow down in the Muslim world, just the opposite, the richest Muslim countries are among those with the highest reproduction rates. In those countries only the 1%ers do that. The masses do not. Not unlike the West when you think about it. A serious response to dystopia books that use dystopia to justify ‘green’ scams that do not work on an engineering level or an economic level would require a completing book. This is the Coles notes response. It should be noted that trillions of dollars have been spent on ‘green’ scams and atmospheric CO2 continues to increase. The critical problem to solve is how to stop wasting of trillions of dollars on ‘green’ scams. I believe global cooling should help resolve this problem as will the start of economic collapse of the countries that persist in the green scam madness. The planet is going to cool (significantly) rather than warm, so the climate change problem is going to be global cooling rather than global warming. The greenhouse gas mechanism saturates due to an incorrect radiation assumption in the higher regions of the troposphere. The majority of the warming in the last 70 years was caused by solar magnetic cycle changes, rather than the increase in atmospheric CO2. I have no idea what is the solution to global cooling. Let’s wait until the subject of global cooling comes up on the talk shows. The majority of the extinction of animals and plants is due to a loss of habitat, as more and more of the planet’s arable fertile land is used for agriculture. The conversions of food to biofuel based on the current mandates will require all of the available land to be used to grow food to convert to biofuel. As people still need to eat, more virgin forests must be cut down to provide food for people and food to convert to biofuel. If all energy inputs are measured there is almost no net benefit (reduction in carbon dioxide emission) to convert let say corn to ethanol, yet 45% of the US corn crop is now converted to ethanol. The food to biofuel mandates are madness and will create food wars if it is not stopped. There is a net reduction in land required to feed people by a factor of roughly 2 if we convert to veganism. Roughly 80% of the Western diseases: most of the common cancers, atherosclerosis (cause of heart attacks, strokes, and so on), dementia, diabetes, arthritis, and so on are due to comically high levels of animal protein, fat, sugar, and salt in the Western diet. 18% of the US GDP is currently spent on health care and is projected to increase to 30%. People’s ideas about diet come from the food manufacturing industry (silly myths) and have no basis in science. If you are interested in the subject of science of diet read Forks over Knifes (or watch the DVD of the same name) and read MacDougall’s books which provide additional research and MacDougall’s clinical work to treat Western Health problems with diet as well as MacDougall’s extensive research paper summary to justify and explain the science for why a change in diet eliminates the health problem. The data and research is astonishing as is the practical change in how one fells and the immediate elimination of health problems due to a change in diet. The point of discussing health care at the same time as discussing environmental protection is each country has a limited amount of money to spend on services and programs. Western governments currently spend more money on entitlements than they take in taxes. That is not sustainable. If you are interested in failure of the current green party anti industry, anti people, anti economic growth policy I would highly recommend the book ‘Break Through: From the Death of Environmentalism to the Politics of Possibility by Ted Nordhaus and Michael Shellenberger. One of the points of the books is to have money to spend on clean air and clean water in let say African countries, there needs to prosperous country an industrial base. The note also that there is a significant reduction in population growth as income increase and women enter the work force. They noted why specific dystopian scenarios are incorrect and they note no one will engage the population with ‘I have a nightmare’ as the start of your speech to justify their solution which is a massive reduction in living standards, rationing of energy, forced population control, end to vacation traveling by plane, and so on. We should be investing in nuclear energy either Thorium reactors or Breeder Reactors as nuclear energy will work however there are technical issues that need to be worked out. Prototypes and limited build test reactors need to be installed to work out the bugs and to optimize. It is interesting that the author of the Break Through book is also the producer of the film Pandora’s Promise. That film presents basic facts that shows ‘green’ energy will not work and outlines a case for the use of nuclear power. William: We are not ‘killing’ the climate. As noted above a very strong argument can be made to support the assertion that the planet will cool rather than warm, however, rather than spending money on green scams that just waste trillions of dollars spending money on nuclear would provide a useful long term option to fossil fuel. There is roughly a billion years of uranium available using uranium extracted from sea water. A strong argument can also be made that earth’s hydrocarbons and surface water comes from deep core released CH4. That likely removes the running out of access able hydrocarbons for hundreds or thousands of years. …But it did not slow down in the Muslim world, just the opposite, the richest Muslim countries are among those with the highest reproduction rates…. Yes, and they IMPORT FOOD. If the USA Ok’s the Keystone pipeline, fracks natural gas and invests in thorium nuclear, the Muslim world is going to be sitting with a large population and no way to feed them as oil prices drop. What in heck do you think the ‘Arab Spring’ was really about? ….. In 1977, what came to be known as the Egyptian Bread Riots broke out after the state ended its subsidies of basic food staples. Hundreds of thousands of poor Egyptians took to the streets; scores were killed and hundreds were injured. Thirty years later in 2007 and 2008, as food prices soared and food riots swept cities across the globe, panic over a disruption in the supply chain of flour and bread in Egypt again unfolded into deadly protests. This year, food prices are also reaching worrying highs. Global wheat prices are at an all-time high, and other grains and meat prices were up over 20% by the end of 2010. Though some 40% of Egypt’s 80 million residents live in poverty, high food prices don’t have the same impact in Egypt that they might have in other vulnerable countries. The nation has a huge subsidy program that, when its working right, helps protect its poorest citizens from inflated food prices. Two years ago, when food prices were soaring and riots broke out, there technically was no food shortage, but the high prices of commodities – and bad management of the private and government supply chain – led to disruptions in the supply of subsidized grain, so many couldn’t afford to eat. What’s troubling today, says FAO senior economist Abdolreza Abbassian, is the prospect of a similar disruption in any potential power vacuum that could take place in the coming weeks, months, or years ahead. In 2007 and 2008, the protests happened “when authorities were still in full control of the country,” says Abbassian. “When there was no major threat to the establishment, the country found itself in the midst of a big problem…Today, what can we say? This is what worries me.”….. When I was in college in the early 70’s, Paul Ehrlich was required reading. We were doomed then. The year 2000 would be one of mass die-off of the human population. I look at these graphs as a testament to the rapid advance over the last 250 years of science, technology and the rise of humanity. And that’s a good thing. BTW, the CO2 graph is a total farce. Global CO2 levels have been much higher in the past…did he forget about volcanoes? ….I’m paying my way by one of the time-honored means of creating value while here on earth, manufacturing, out of the big 3 of mining, manufacturing, and agriculture…. If I didn’t suspect that we’re all too busy minding our own affairs to get together on a little protest, I’d suggest everyone in mining, manufacturing, or agriculture take a 6-month vacation all at the same time as a small demonstration of who actually provides the payroll for this party that we call civilized society. You would like Doreen’s LET THEM EAT GRASS After the food safety modernization act passed I took my farm out of production permanently (Only a fool wants to chance millions in fines and ten years in jail.) Now it only feeds me. However the ruling class has that covered too. When you register your garden it will be displayed on the People’s Garden Map to showcase your efforts. Let everyone know the type of garden, who’s involved, and how it benefits your neighborhood. After you register your garden you can share your photos and request a free sign to show your support. Signs will be shipped directly to you. Please note: It may take up to 60 days from request to delivery especially in rural areas. Members of the public can register or update their garden by clicking HERE. USDA Employees can register or update their garden by clicking HERE. I do not see much change in attitude. Nicole Johnson has an excellent well documented summary of the carefully crafted takeover of US family farms link At least it was done gradually here in the USA. … in the mid-1980′s I was a lonely voice saying the same thing as now, exactly what is being removed so that kids have this time to even use a computer? ~Crickets~ Gates, Jobs, Allen and Wozniak never even saw a computer in K-12, exactly what are kids supposed to learn on a computer. K-12 is NOT vocational….. Now it would appear that in typical camel nose under the tent fashion, they are progressing further to blatant indoctrination. And why not? Schools are the babysitter taking the kids off the parents’ hands for a sizable chunk of the day. …Ridicule is indeed a most effective method of getting perspective…. The only good thing is people are starting to wake up to what is happening. The bad news is we (in the USA) have lost complete control of our government. The link given above, America’s Ruling Class — And the Perils of Revolution is a great synopsis of the current situation and how we got there. That same Club of Rome are indirectly behind the AGW scare promotion. It is simply that it is far easier to scare stupid people into a panic than to get them to think critically about the fear mongering. So the control freaks have learned to promote fear and panic to gain more power and control. So for whatever reasons, the Club Of Rome is pushing FUD, and has been since the ’70s, as a means to garner more money and power to “the right people”… Using population fears and resource scares the whole way. Use an exponential growth curve against a static supply and call it a catastrophe. Same game now, but it’s a “hockey stick” against an imaginary flat history (of static temperatures that never was…). I don’t think, I am “off base”. I think you and mainstream USA missed the development of the last 10 or 20 years within the Muslim world. Which is that large parts of the populations have organized in way that makes them and their children immune to such “modern” influence. This is happening within the Arab world, in Turkey, in Bangladesh, in French communities, around the globe. Until not long ago, societies have been much more open. There was interest and curiosity in other cultures, awe and attraction for modern achievements, western values and western views of human rights. But this has changed. Movements like Salafism have completely stepped out of society and set up rules and enforced those rules which keep their group tight and growing. You wouldn’t have seen many veils in Turkish cities not too long ago, today you have whole districts even in Istanbul with women wearing whole body veils. Saudi and Qatar salafist preachers are often spreading the most radical messages. It is happening in Europe and even remote locations like Mosambique and Argentina.. I am amazed about the ignorance in the US, not only by the current administration but also by McCain and others, who strangely team up with the financiers of the most radical forms of Islam in various conflicts for whatever reason. As we now have these closed societies, populations growth has to be judged not by the mean of all groups of a society but each part separtately. And the outcome in my view is, that population growth may have receded strongly in parts of the population and lead to a lower overall slowdown. But these groups are becoming increasing marginal and outnumbered and population growth will pick up again..
We have seen demographic transitions in most countries. Some, particularly in Africa, lag, but they’ll eventually exhibit the same pattern. What most Malthusian alarmists don’t realize is that we’re experiencing the precursors of population peak right now. The number of infant girls has already begun to shrink. Almost all the population growth from here on out will be product of population “momentum,” rather than new growth. Once today’s young women and girls have entered and exited the childbearing years, there will be fewer to replace them and global population will begin a long, slow decline,probably around 2060. I have to be amused by these concerns about over-population. You’ve heard it time and again that we do come up with solutions to disappearing resources. The only way we are able to do it is with more population. I am concerned that if the population truly peaks at 10 billion, we will stagnate. It takes tremendous brain power to achieve the advances we have made. There would be no HDTV, GPS, 50,000 seat sports arenas, Kindles and PCs without the huge population we have now. We couldn’t afford it as a race, we couldn’t devote the resources to developing them. I don’t believe we will reach the stars unless we continue to grow our population. I don’t say this because I love to be surrounded by throngs of people (Star Trek’s “Mark of Gideon” comes to mind). Indeed, after living in 30 years in Southern California townhouses and homes with neighbors whose walls are only 10 feet from my own, I retired to 80 acres in Nevada where we can’t see a single house from our place. (It is glorious!) But we wouldn’t have DishTV, or high speed fiber internet without all those people living in Los Angeles, London, Moscow, and a thousand other cities. We couldn’t even sustain the mentioned luxuries with a planetary population of 160 million people, let alone the 160 thousand I’ve heard some say is the limit of this planet. Those people need to get out a little – see the world. They need to study up on technology – see how difficult it is to create a 14 nm chip manufacturing facility – let alone the design or the chip itself. In the 80’s I heard that the Macintosh OS was the result of 10,000 man years of software development. How do you do that with a small population? A peaking population is likely the result of having machines that do agriculture, washing clothes, etc., so that we don’t need 10 kids to perform that labor. Maybe we’ll be alright with only 10 billion people on the planet. Maybe we need Mars to grow beyond that and really open new worlds to us. “Emmott’s book is error-strewn, full of careless exaggeration and weak on basic science. Its reliance on random facts pulled from the internet is truly shocking and it will harm the cause of environmental protection. As might be expected, the best sceptic bloggers are already deconstructing its excesses line-by-line”. By “the best sceptic bloggers” Gooddall presumably means Jo Nova, Donne Laframboise, Willis Eschenbach and me. It’s only slightly ironic that I’m not allowed to comment on the article, since I’ve been banned six times from commenting at the Guardian for the crime of persistent disagreement. If anyone else feels like commenting, you’ve got an open goal there, (or net, or whatever it is you have in your North American games).